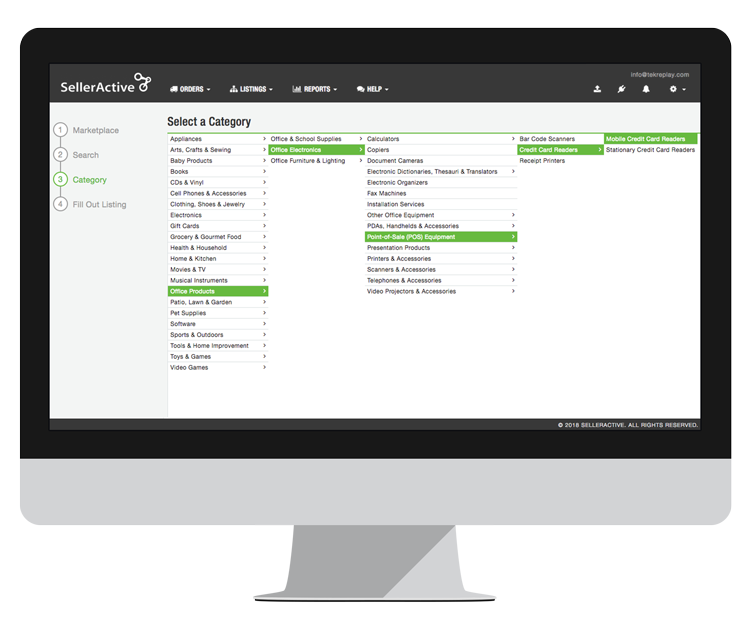 Save time, increase visibility and boost sales with SellerActive’s automated repricing technology. Set your own eBay repricing strategy based on your company’s goals, and use rule-based, sales velocity or mirror pricing to stay ahead of the competition. Creating new listings, managing variations for each product, and fulfilling orders manually is painstaking hard work that can be riddled with human error. 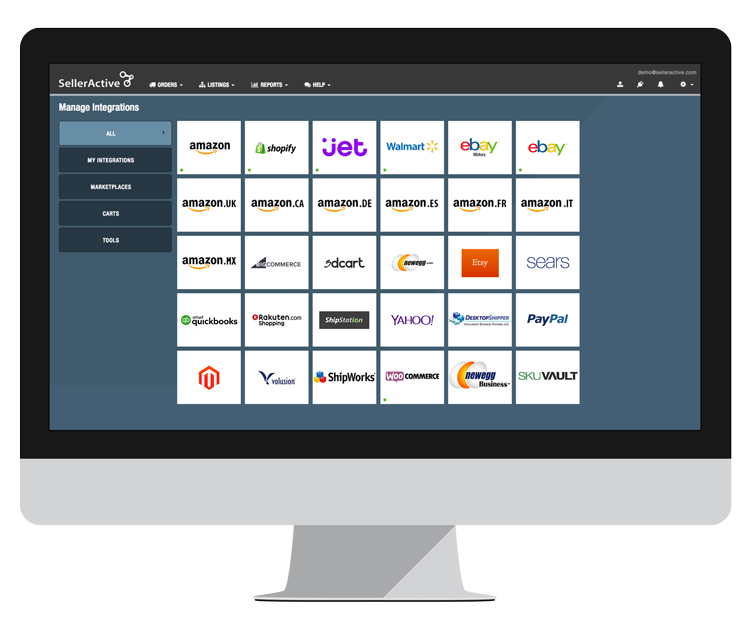 Drastically reduce the time and frustration of selling online with SellerActive’s multichannel e-commerce automation and bulk editing capabilities. If you’ve got products for sale on your own website, eBay and other marketplaces, save time by utilizing SellerActive’s product listing tool, which syncs listings, pricing, inventory and fulfillment into one handy dashboard that works with Walmart, Amazon, Jet, and more. SellerActive customers who expand to eBay see an average sales increase of 30%.